Corten Fish Farm has been a trusted supplier of game fish for more than 30 years. 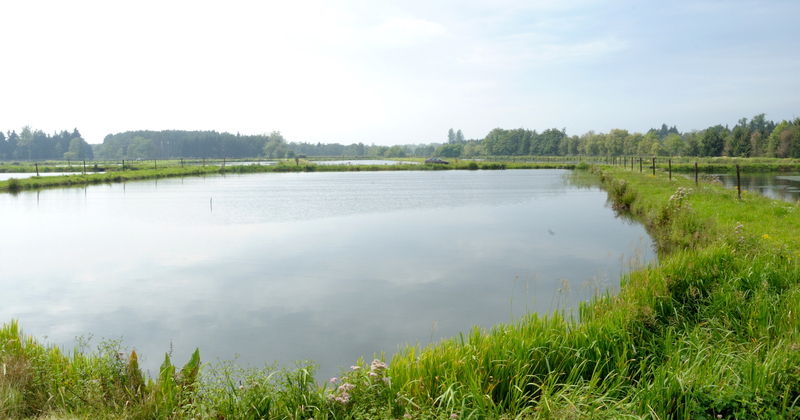 Our clientele comprises angling clubs, the owners of private ponds, and local and regional government services throughout Belgium, the Netherlands, Germany and France. We supply all of the most common native fish species. And we invariably guarantee the best price/quality ratio. Our range of game fish is comprised exclusively of farmed fish species. For these we collaborate with renowned foreign fish farms, which each boast their own specialisation. Our key breeders are located in Germany, the Czech Republic and France. These fish are bred according to customer size requirements and in the finest possible conditions, not only under our own watchful eyes; but also under those of the appropriate bodies. We personally take care of their international transportation to our own farm and catch basins in Lommel, using our specially customised lorries. Most of our game fish are released during autumn and winter. Both the weather and condition of the fish are optimal at that time of year. This season runs from November to March. During the spring and summer months, the choice of fish species is restricted to carp (varieties). This robust fish species can, if necessary, be released outside the winter season. We strive to offer our customers the largest range of carp on the market. In terms of both size and species. Their key release period is in the autumn, during November and December. Both the weather and condition of the carp is optimal during these months. Thanks to the volume that’s released at that time of year, we’re able to offer carp at extremely competitive prices. We also release carp during the spring and summer months. Please feel free to ask about the carp we currently have in stock. These mirror carp have been specially selected for their unique recognisability. Indeed, the striking scale pattern of these carp allows them to be carefully monitored over the years. The mirror carps that we supply for this purpose are of Czech origin and Bohemian variety. Year after year, these stunning carp prove their excellent catch returns and growth qualities on both open and closed waters. A cross or hybrid of the carp and crucian carp that’s aimed at offering a species of fish specifically intended for game. Its limited growth capacity makes this fish species ideal for fixed line or feeder fishers. It can be used in any type of water, large or small, deep or shallow. And, as it’s a crossbreed, this species is more robust, making it less susceptible to disease. This species is a herbivore and ideal for tackling ponds with plant or algae problems. In fact, grass carp are the most ecological and effective long-term solution for this issue. A good guideline is 50 to 100 kilos of grass carp per hectare of water surface, depending on the severity of the problem. Grass carp are only available during the autumn. We only offer the farmed variety of bream. The optimum release period for bream is during the months of November and December. However, it can also be released up until the end of March if both stocks and weather conditions permit. We offer farmed varieties of both the common roach and common rudd. These measure an average of 15 cm, depending on the batch. The optimum release period for this fish is during the months of November and December. However, it can also be released up until the end of March if both stocks and weather conditions permit. Also known as the doctor fish. Typically offered as a 3-year-old of approximately 500 grams in weight. Only available during the winter season and occasionally in the spring. Our predatory fish range largely comprises pike and pike-perch (zander). Occasionally limited stocks of bass are also available. Our assortment includes a variety of sizes and we endeavour to supply according to customer preference wherever possible. These species are best released during the months of November and December. For the majority of our customers, the supplementary feeding of their fish stock is essential. That’s because their fish stock is too large for the natural food supply to sustain, necessitating supplementary feeding at regular intervals. Fish pellets are the ideal solution, as the fish instantly recognise these from the fish farms in which they were raised. Supplementing their natural food supply with fish pellets actively limits weight loss and can even lead to weight gain. Your fish stock will be stronger and less susceptible to disease as a result, which in turn benefits your catch levels. The fish food that we use and supply to our customers is made to a recipe formulated according to our many years of experience. Composed exclusively from vegetable proteins, and supplemented with vitamins and minerals, our superior fish pellet provides everything your fish stock requires. We offer our fish pellet from March to November, replenishing our stocks on a weekly basis. Collection can take place following an order and subsequent appointment. Alternatively, we can provide an on-site delivery throughout Belgium and the Netherlands. Their premium equipment, including a quality range of aerators, is robust, economical and specifically designed for professional use. We’re delighted to be able to offer our customers the opportunity of purchasing a custom-built aerator. 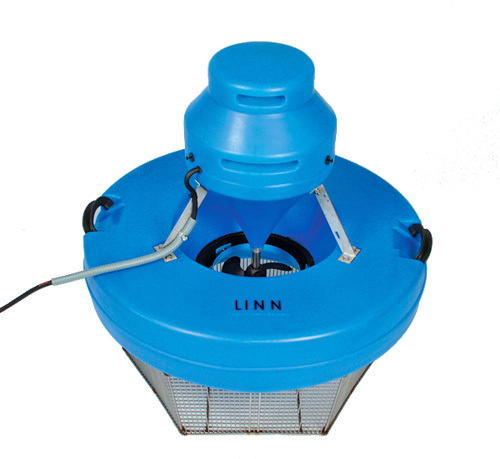 Aerators are recommended according to pond size and fish concentrations. Various models and types are available for purchase.